Soon drive by wire throttle activation will be the standard for the automobile industry. Keeping pace with the auto industry Nitrous Express introduces its complete line of Made in the USA drive by wire activated nitrous systems. Using exclusive “Smart Box” technology, NX enables the average auto enthusiast to install these systems with no hassles, just plug and play! Available in horsepower levels from 35-50-75 for most 4 and 6 cylinder cars, and up to 150 for 8,10, and 12 cylinder engines. 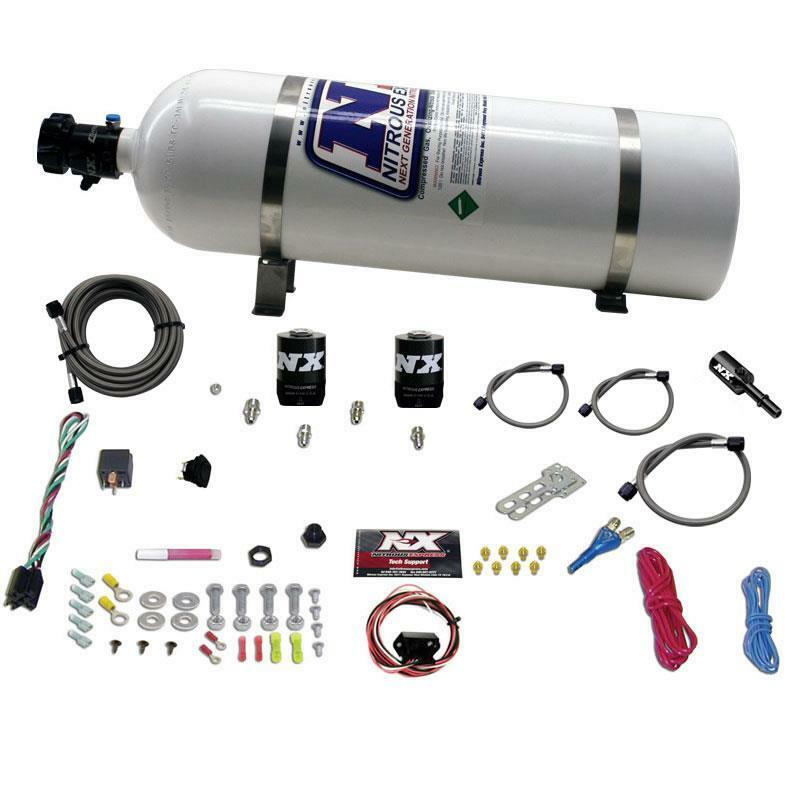 All NX Fly By Wire nitrous systems come complete with your choice of 5lb, 10lb, 15lb, or 12lb composite nitrous bottles, NX Autolearn TPS switch, stainless bottle bracket, NEW Lightning solenoids, extra long stainless braided N2O line, and all necessary hardware to complete the installation.